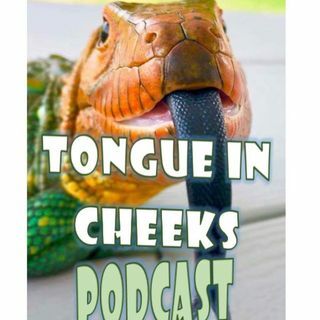 From the gecko, this podcast is named this way because many reptiles have a bifurcated or forked tongue giving the image of the tip of each side of the tongue firmly planted in the respective reptile cheeks. This podcast is meant to be two cheeky, educational, humorous and we may even speak with a forked tongue. Subjects include import, ... See More export, breeding, bioactive vivarium natural enclosures, habitats, travel, investments, cold blooded animals and much more! Check out that awesome tongue texture on the Caiman lizard, (Dracaena guianensis).